It’s National Dog Day August 26th! To celebrate, JP Shaw, The Home Matchmaker, wants to give you ONE FREE professional photo of your dog! 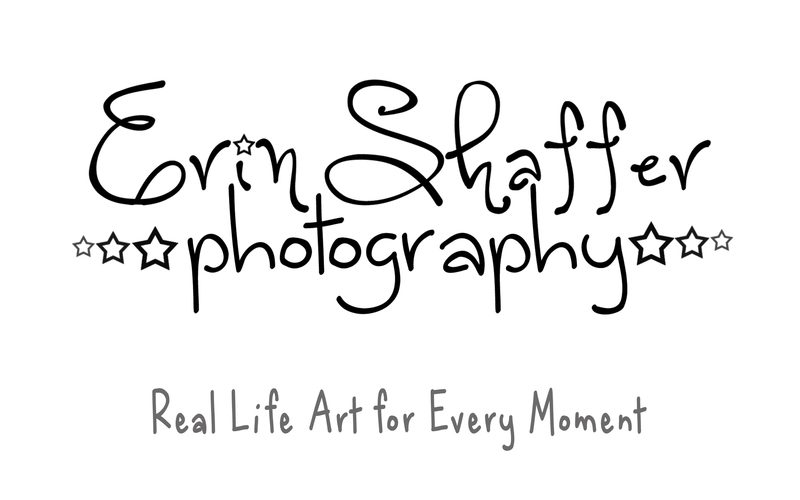 The photos will be taken by the wonderful Erin Shaffer of Erin Shaffer Photography. The photos above were captured by Erin and are my fur babies, Colby (gray one) and Ella (white one). Event held at Rossmoyne Animal Emergency Trauma Center located at 4930 Ritter Rd #101, Mechanicsburg, PA 17055 Sunday, August 26, 2018 from 9 am – 2 pm. You will receive an email from Erin Shaffer Photography within 3 days after the photo shoot with a link to download your completely free pet photo. Photos will NOT include any logos. Feel free to print or post on the web as you like! Digital photo and photo session has an estimated value of $45. Restrictions: No substitution of prizes is permitted. Any federal, state, or local taxes on prizes and any expenses related to the acceptance and use of the prize not specified herein as being awarded are the exclusive responsibility of the winner. Please share this event on your timeline and mention your friends in the comments so that they can sign up too! Each person is only allowed one photo. If you have more than one pet, they must be in the same photo and are only allowed one sitting session. Each sitting session is 15 minutes maximum per person. Event will occur between 9 am and 2 pm on Sunday, August 26th at Rossmoyne Animal Emergency Trauma Center. There are a total of 20 sitting sessions available. Keep an eye on my Facebook page – prize winners names will be posted there on August 27, 2018. Those that reserve a session will be reminded of their session time the prior day, August 25th via email and text and another reminder will be sent via email and text the day of the event. Total fair market value of the prize is $45. Eligibility requirements: All persons without a Pennsylvania real estate license are eligible to enter. This contest is subject to all applicable federal, state and local laws and regulations in the United States. Event Entry Period: Event registration begins at 12:00 PM (noon) on August 15, 2018 and continues until all spots are filled. There are a total of 24 sitting sessions available. JP Shaw, Erin Shaffer Photography and Rossmoyne Animal Emergency Trauma Center are not responsible for printing, typographical, human, or other errors of any kind in any Contest related materials. JP Shaw, Erin Shaffer Photography and Rossmoyne Animal Emergency Trauma Center shall have the right, in their sole discretion, to abbreviate, modify, suspend, cancel, or terminate the contest without further obligation. In such an event, JP Shaw, Erin Shaffer Photography and Rossmoyne Animal Emergency Trauma Center may, but shall have no obligation, to award the Prize from among all valid and eligible entries received prior to such action. The Contest is governed by the laws of the Commonwealth of Pennsylvania for the resolution of all claims and disputes. JP Shaw, Erin Shaffer Photography and Rossmoyne Animal Emergency Trauma Center has the right to obtain and publicize the photo recipients name and likeness. If you would like to purchase additional photos other than your ONE FREE photo from the photo session, Erin Shaffer Photography will provide a link to the other photos of your pet with an option to download them at a price set by her. No plans for Valentine’s Day, yet? It’s not too late. JP Shaw, The Home Matchmaker, has got you covered! All you have to do is post your favorite “pick up line” as a comment on this Facebook post. That’s it. That’s all you have to do! One pick up line then boom. Done! You’re now entered to win. Reservations are at 6:45 p.m. at the Bonefish Grill located at 3505 Gettysburg Rd, Camp Hill, PA 17011. Prize restrictions: No substitution of prizes is permitted. Any federal, state, or local taxes on prizes and any expenses related to the acceptance and use of the prize not specified herein as being awarded are the exclusive responsibility of the winner. And remember that you can share this post on your timeline and mention your friends in the comments so that they can enter too! How to enter: Post your favorite “pick up line” in the comments section of this Facebook post to be entered to win. Each person only gets one entry into the contest. If one person posts multiple pick up lines, it still only constitutes one entry into the contest. If you do not want to post a “pick up line”, you may enter the contest simply by sending a blank email to JP@JPHomeMatchmaker.com with “contest” as the subject line. Keep an eye on my Facebook page – the lucky winner will be announced on February 13th at 12:01 PM. Winner will also be contacted by Facebook messenger on February 13th at 12:01 PM. Total fair market value of the prize is $110.90. Contest Entry Period: The contest begins at 12:00 PM (noon) on February 6, 2018 and ends at at 12:00 PM (noon) on February 13, 2018. To receive the winner’s name, send a stamped, self-addressed envelope to “Coldwell Banker Residential Brokerage, Attn: JP Shaw, 3915 Market Street, Camp Hill, PA 17011.” Requests must be received by December 31, 2018. JP Shaw is not responsible for printing, typographical, human, or other errors of any kind in any Contest related materials. JP Shaw shall have the right, in her sole discretion, to abbreviate, modify, suspend, cancel, or terminate the contest without further obligation. In such an event, JP Shaw may, but shall have no obligation, to award the Prize from among all valid and eligible entries received prior to such action. The Contest is governed by the laws of the Commonwealth of Pennsylvania for the resolution of all claims and disputes. If the prize is forfeited or unclaimed by 6:30 PM on February 23rd, the $100 gift card to Bonefish Grill and coupon for free Bang Bang Shrimp appetizer will be retained by JP Shaw for future promotions. JP Shaw has the right to obtain and publicize the winners name and likeness.